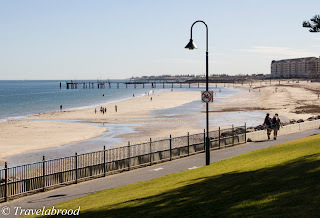 We first visited Adelaide, the Barossa and south to the Fleurieu Peninsula in 2014. 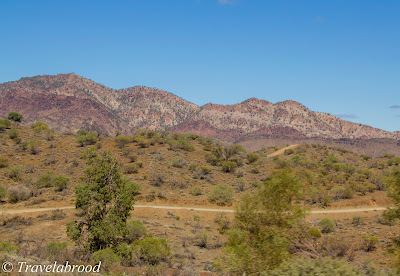 This visit we travelled 460km north to the Flinders Ranges - the largest mountain range in South Australia and one of the oldest landscapes on earth. Once the height of the Himalayas, 540 million years of erosion have whittled the 430km long range down to a modest 1,170 meters at its highest point. A brood of four we all met in Adelaide just after lunch and after a quick shop for some picnic supplies, we headed up the A1 to Wilpena Pound Resort an approximate 5 hour drive. At Quorn we stopped for dinner at Emily's Bistro. 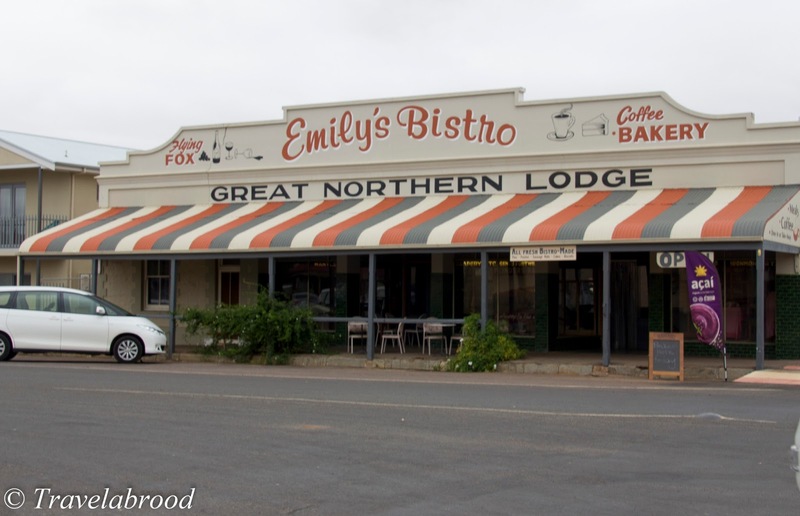 A family owned business, Emily's family have been in Quorn for five generations. The bistro used to be the town's Emporium and still boasts the original flying fox register along with other artifacts of years gone by. 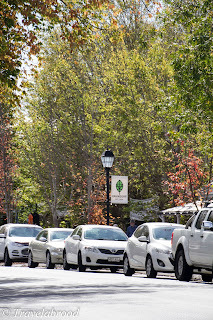 The food and wine was excellent and it is no wonder that Emily's Bistro is one of the town's drawcards. The fresh bread is also to die for and we were told that the bistro's baker is a young man who has recently followed his wife (the community nurse) to Quorn. I hope for the town's sake he stays! 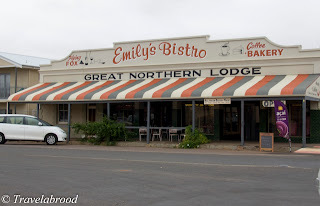 Unfortunately, it was dark when we initially drove through the quaint historic town, however our waitress filled us in on some of its history and how it is often used as the setting for Australia television dramas (The Shiralee) and movies (Wolf Creek). Wilpena Pound Resort is a 1.5hr drive from Quorn, however it felt like it took a lifetime to get there. With little traffic on the road and overcast night skies our car headlights (on high beam) were the only illumination for miles around. I have never seen so many wallabies and kangaroos on the road. 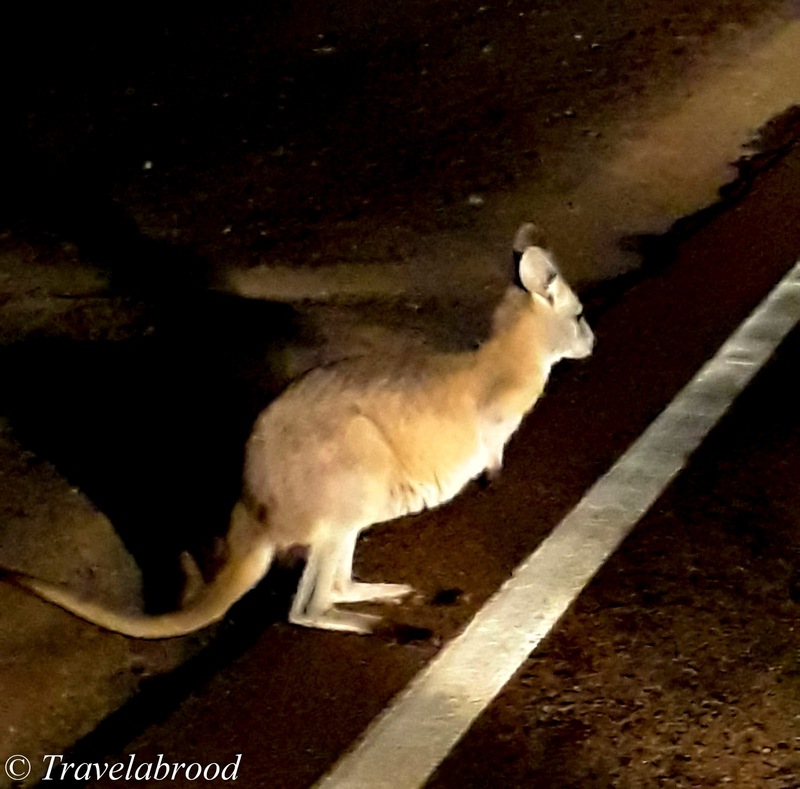 Given it had rained earlier in the day, the animals were out drinking the water off the road and weren't bothered at all by our headlights or horn. Wilpena Pound Resort offers accommodation for all types of travellers including: powered/unpowered camp sites, hotel rooms and safari tents. 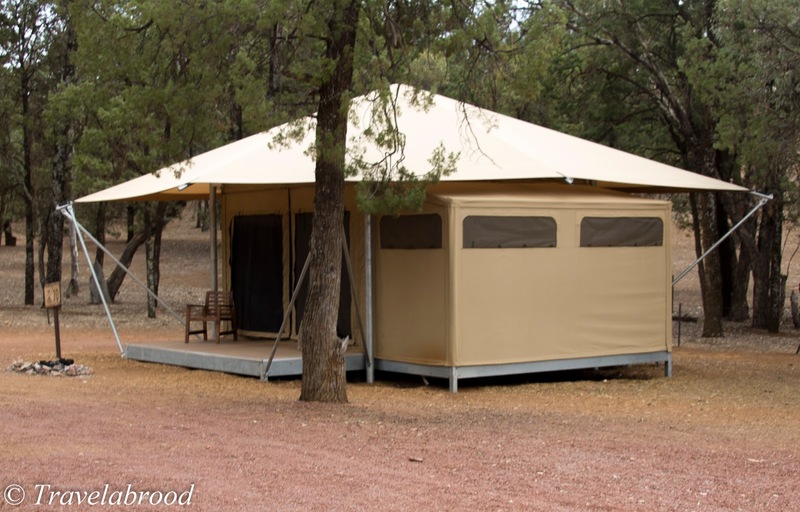 We stayed in a family safari tent which slept the four of us and included a bar fridge, kettle and ensuite. 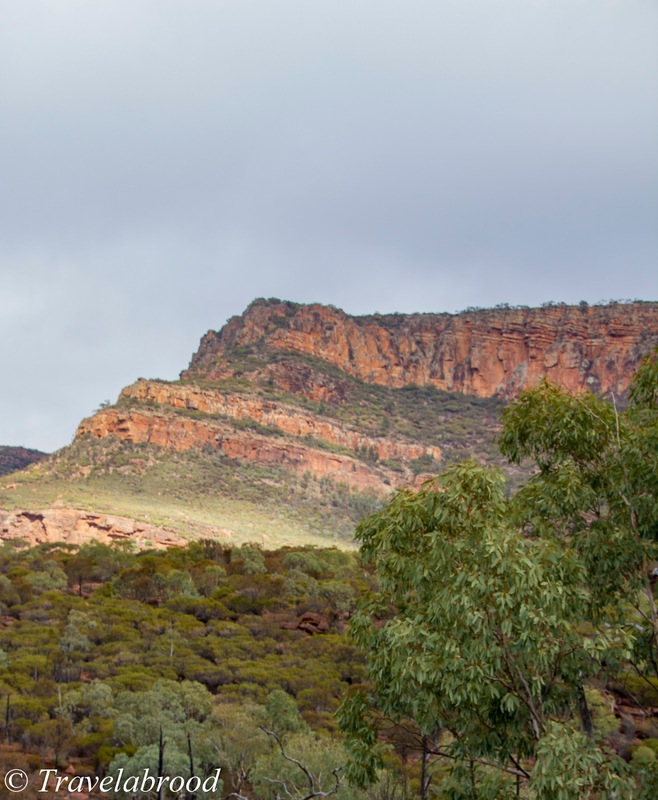 Wilpena Pound is the gateway to many walks. 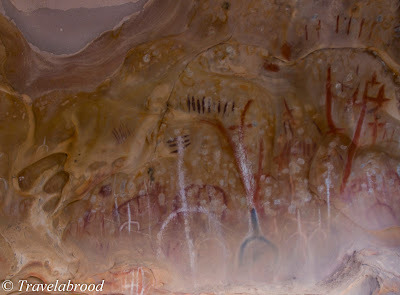 However, we decided to start our day walking into Arkaroo Rock. 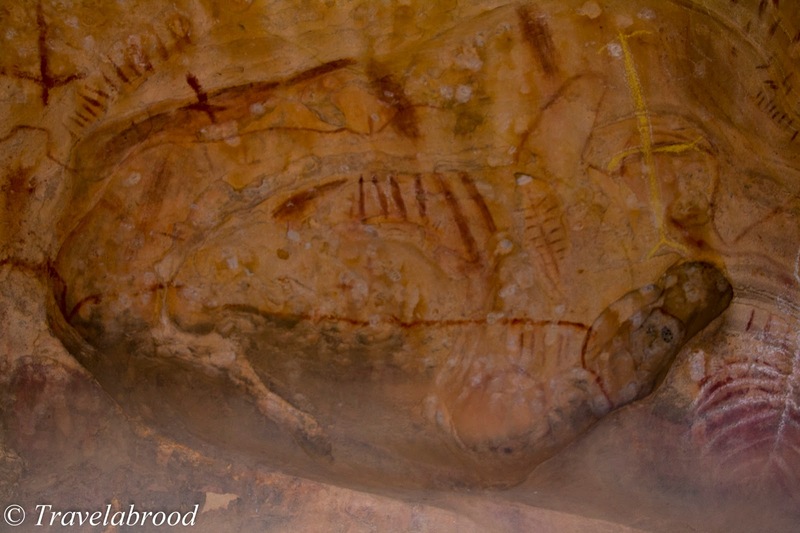 Located about 15 minutes drive from Wilpena Pound, the walk to Arkaroo Rock is a 3km circuit. The walk is a gentle incline, so a good beginners walk and the indigenous rock art is well worth the effort. We had decided on a picnic lunch, however hadn't anticipated that we would complete the walk as quickly as we had. With that we decided to head back to Quorn and see the town that we had missed the previous evening. Quorn was once a significant railway town and in 1917 became the crossroads of any north-south/east-west travel in Australia. During WWII it was a vital service point for trains heading to Alice Springs and carried over one million troops heading to Darwin and on to PNG. The Flinders Ranges were first settled by white people around 1840. The semi-desert was hard country for pastoralists with many forced to give up on the land. 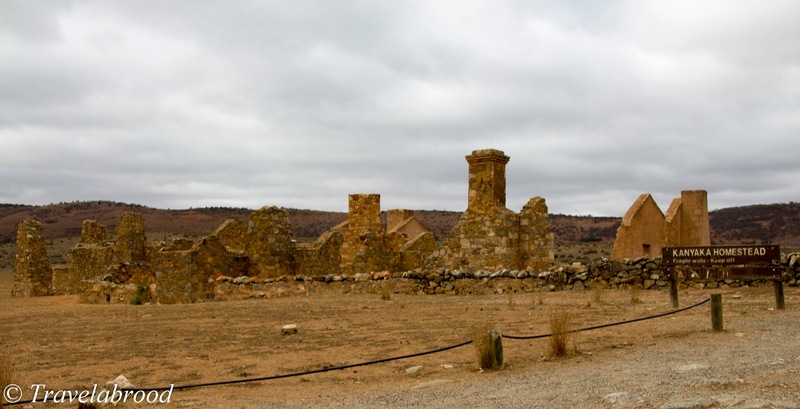 Kanyaka Station was once a thriving successful sheep and cattle station, however now all that is left are the Homestead ruins. 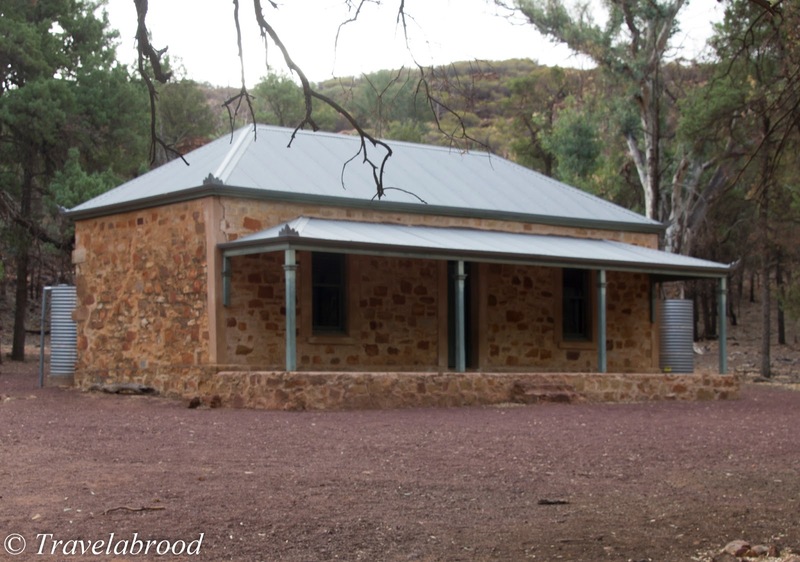 Hills Homestead is another example of pioneering hardship. 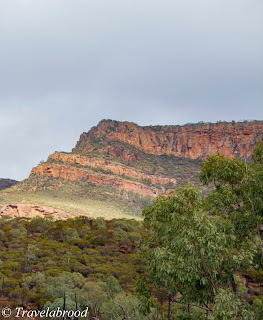 Walking from Wilpena Pound, the homestead walk is a 6.6km circuit through a narrow gorge with Sliding Rock above. This is the only way to enter the Pound. The Hill family arrived from Hawker in 1899 and successfully grew wheat. Unfortunately, as there was only one way in and out of the pound, heavy rains in 1914 destroyed the road they had built. Consequently, the Hill family abandoned the Pound. The still standing stone cottage is a gentle reminder of how hard life could be. We dined at the Woolshed Restaurant at Rawnsley Park which was very welcoming and the food was a lamb lovers dream. Rawnsley Park is working sheep farm, so it is only natural for the chef to showcase the properties own lamb among other favourites. It was a delightful experience. The property also has guest accommodation. 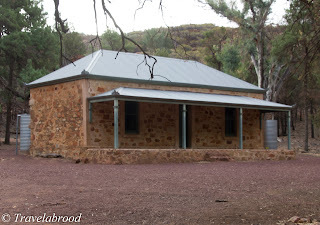 Blinman is the highest surveyed town in South Australia at 614m above sea level. For a small town it once boasted a population of 1500, however today just 22 residents make up this peaceful settlement. 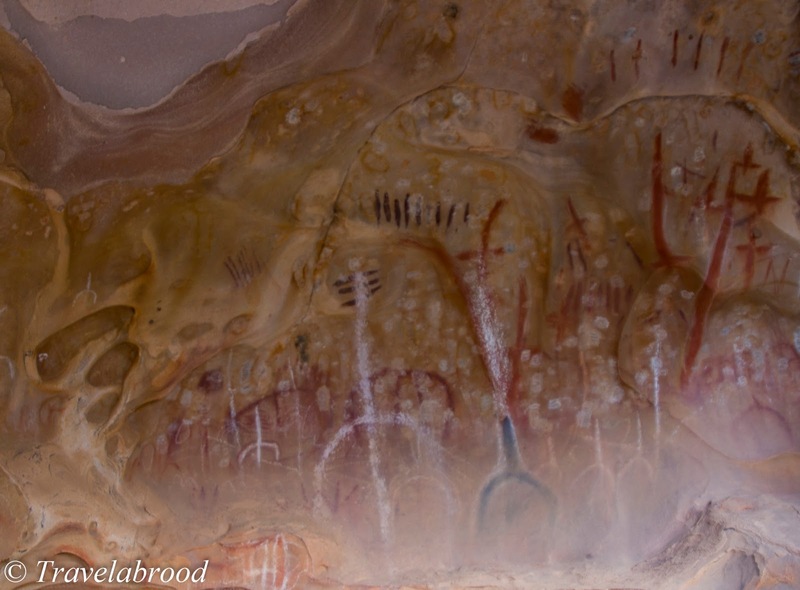 Located approximately 50km north of Wilpena Pound it was initially pasture land until shepherd Robert Blinman discovered a copper outcrop in 1859. 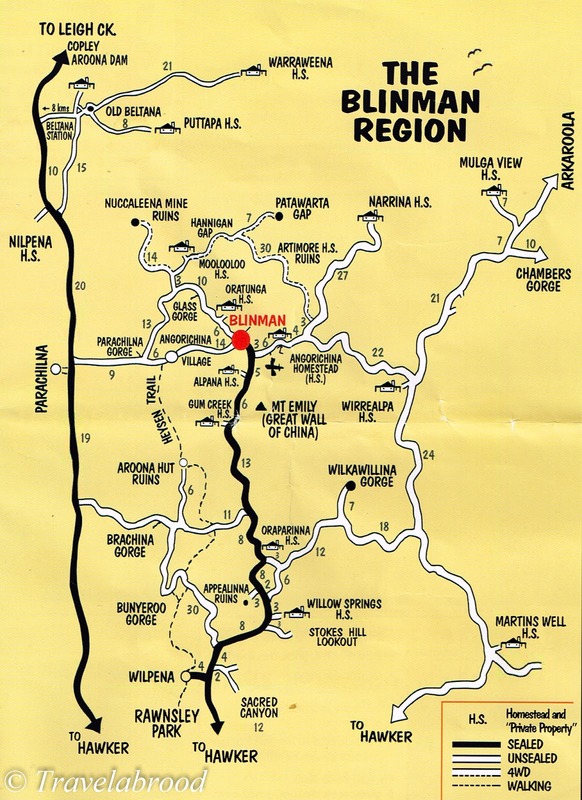 Although Blinman gave his name to the township, he didn't own the land where he found the copper. Although, he and some mates bought the mining lease for the area, which they later sold at great profit to the Yudanamutana Copper Mining Company of South Australia. 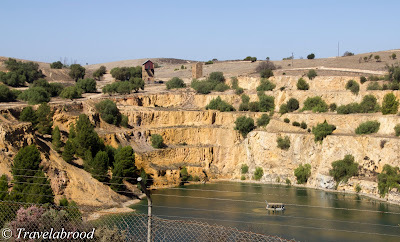 Copper mining occured in the area from 1862 to 1918 when the ore ran out. Blinman mine became the largest and most productive copper mine in the Flinders Rangers, with miners predominantly from Cornwall, England all searching for a better life. 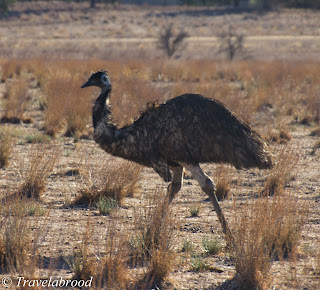 The Blinman Mine Tour is well worth the drive to visit this outback town. 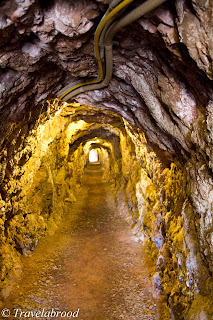 The mine is also wheelchair accessible, which we believe is the only one in Australia (if not the world!). Our guide made the whole story come to life. Hats off to the local residence who have worked hard to keep their town on the map. If you can't get to Blinman for the mine tour, then just go for a traditional home made Cornish pastie at the Blinman General Store. From Blinman we took the scenic route via Glass Gorge to Parachilna and lunch at the Prairie Hotel. The hotel offers accommodation, an art gallery and of course food and beverages. 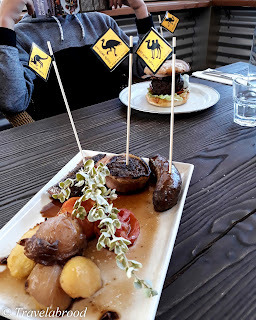 Don't be scared to have a taste of the outback by choosing the "Feral Antipasto", the "Feral Mixed Grill" or even a 200g Emu burger! 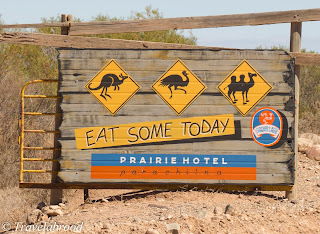 We thoroughly enjoyed our visit to the Prairie Hotel, however would have loved it even more without the flies - I suppose thats all part of the outback! 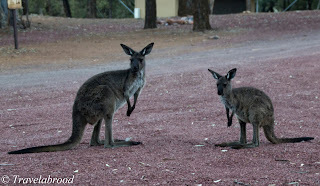 We returned to Wilpena via the Brachina and Bunyeroo Gorges. This is a far more scenic side of the Flinders as Brachina Gorge provides a pathway through a rock sequence of its geological history. Rocks exposed along the gorge are between 500 and 650 million years old. Twelve different formations can be seen along the route which are all clearly signposted. Our last night in the Flinders and we opted for a campfire dinner with friends. 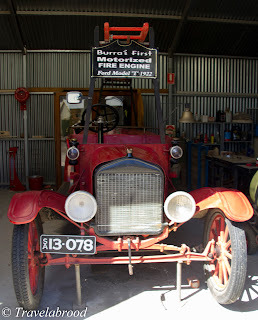 Burra is just east of the Clare Valley and around 3 hours drive from Wilpena. Like Blinman, Burra was once a copper mining town with majority of its miners being of German, English, Scottish and Cornish descent. It is understood that most of the Cornish miners who eventually ended up in Blinman, had worked at the Burra mines. The Burra mines, at their peak, supplied 89% of South Australia's and 5% of the world's copper. When the mine was exhausted and closed the population dwindled. 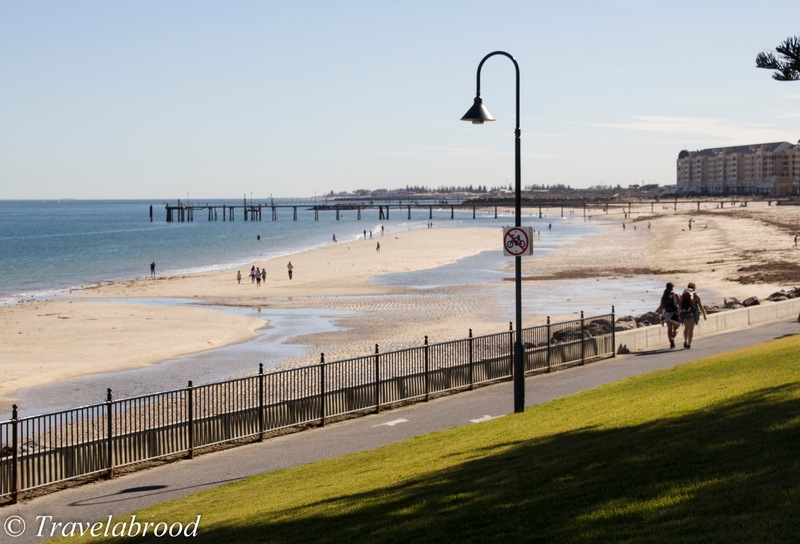 Today the town continues as a historic tourist centre and is one of the best-preserved towns of the Victorian era in Australia. Another pub lunch at the Sevenhill Hotel. A cooler temperature and no flies at our indoor table. The food was excellent. Arriving back in Adelaide, we stayed at the Quest on Franklin. Well located and comfortable we walked to dinner at Golden Boy, Thai Restaurant. WOW! 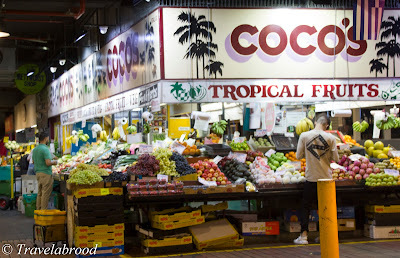 Adelaide Central Markets are always on our agenda for any visit. They are a great way to spend a lazy breakfast and pick up supplies for a picnic lunch or snack. They are also close to China Town, so a yum cha brunch is on offer too. 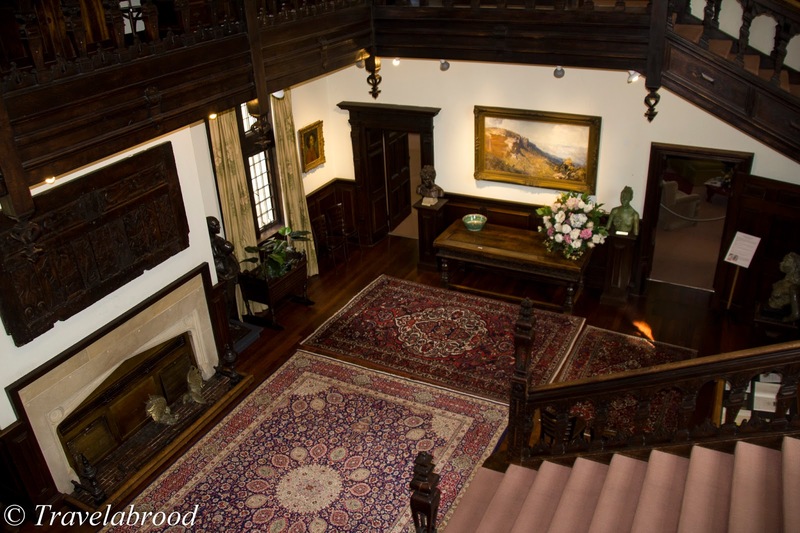 Carrick Hill is one of Australia's oldest period homes, complete with its original contents. Located near the Belair National Park (about 20mins drive from central Adelaide), the property, which was owned and built by Edward "Bill" and Ursula Hayward in between 1937 and 1939 was bequeathed to the public. Carrick Hill was a centre of stylish living and remains an important example of the lifestyle of two wealthy and cultured Australians of the mid twentieth century. 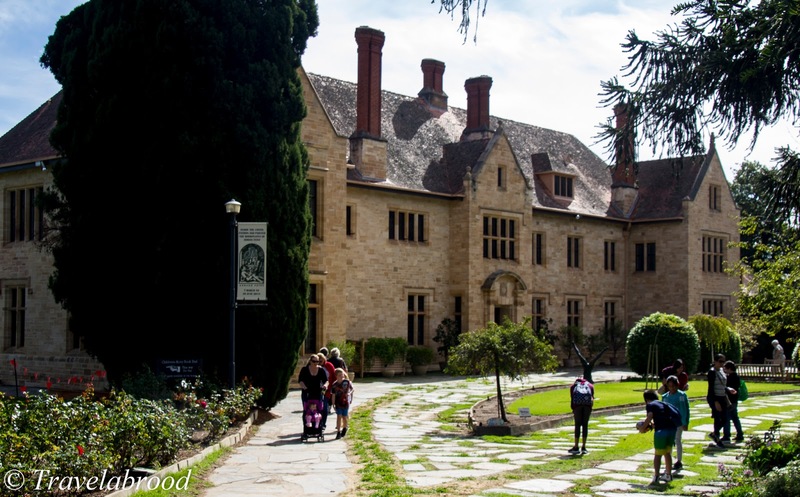 Anyone who visits Adelaide is likely to visit the German town of Harndorf. Complete with German pubs, restaurants, butchers and antique stores, this quaint village has quite a history. The Bridgewater Mill is a nice place to stop for a look at the old Flour Mill or for a picnic and wander through the park. And, don't forget to stop at Mount Lofty Summit for a view over the city. After all our car travel, our teenage son (who had slept most of the time he was in the car) was desperate to burn some excess energy. Fortunately, he found Pumpt an indoor skate park where he could hire a skateboard or scooter. A great place for young and old! Another walk across town to dinner at Africola. I have to say that the food in Adelaide is remarkable. Adelaide is very much a smaller version of Melbourne with everything centrally located and free trams making the city easy to traverse. The University of Adelaide is also well located close to city along with the sports arena, entertainment centre and other general places of interest. Our last evening in Adelaide and we had booked tickets to see a play at the Dunstan Playhouse. We enjoyed dinner at Madame Hanoi in the Casino before walking the short distance to the theatre. We drove 1604km in just under a week!